Oh yes, I have another chance to play with threads and a needle again! 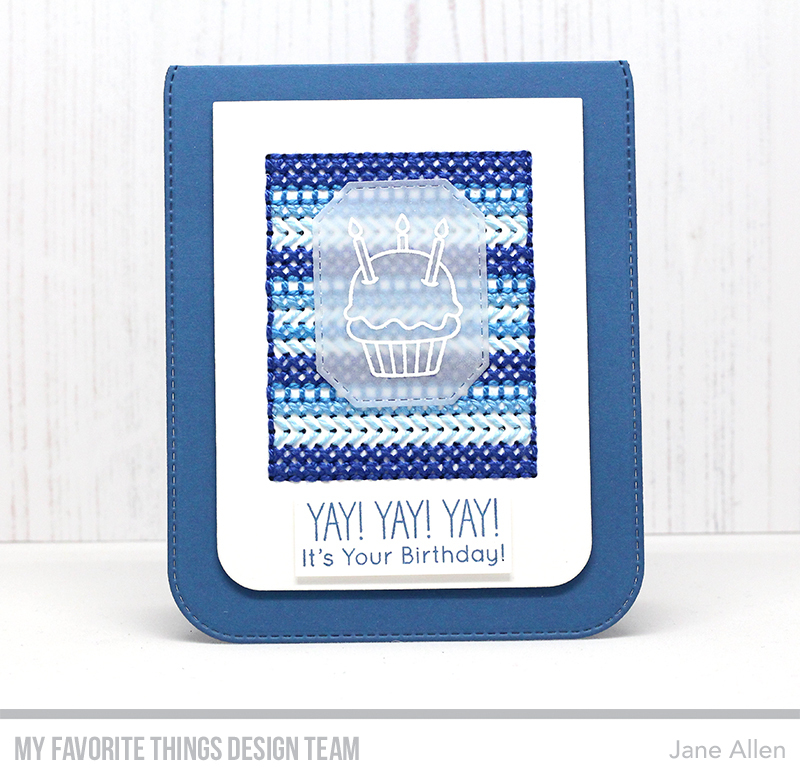 This month we are showcasing Birthday designs for our Cross-Stitch Tag die. Now the cross-stitch designs we've come up with are awesome, but sometimes it's just as much fun to stitch a pattern. I was inspired by some of the amazing cross stitch cards that Jennifer McGuire has been making, including stamping an image or sentiment on vellum so that the stitching you've worked so hard on still shows through. Instead of using the tag as a base, I cut out my stitched area from Smooth White card using a die from Blueprints 24. I then used the cross-stitch die to create a sewing panel in the top two thirds, giving enough room for a sentiment to be added below. As you can see I chose various shades of blue and various stitches, framing the finished piece with back stitching. I opted for DMC Perlé Cotton No5 this time, but normal 6 strand embroidery thread or 4-ply wool would work equally as well. I stamped the cake from Birthday Chicks on to a piece of vellum with Versamark ink and heat embossed it with white embossing powder. Once dry I cut it out using the second smallest die from the Stitched Tag Corner Rectangle Stax. The sentiment, again from Birthday Chicks was stamped on to smooth white card with Premium Blueberry ink to match the cardbase. Foam tape was used to mount both elements to the card, giving added dimension. Has this inspired you to have a go at stitching a card? 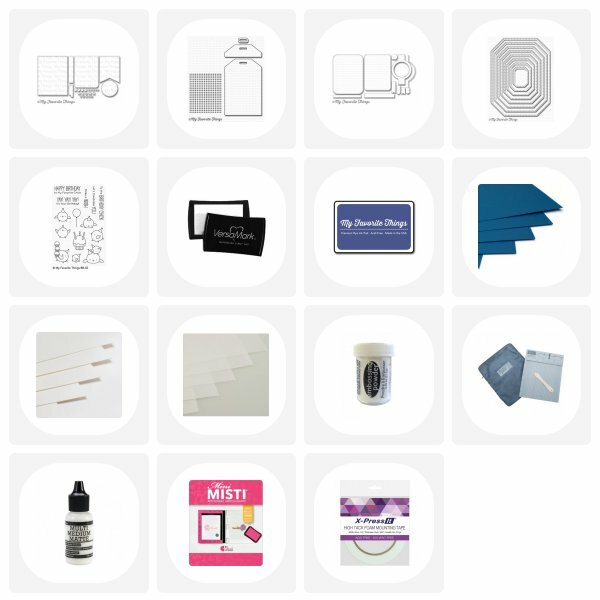 If you haven't done so already, please visit the MFT Blog and see what wonderful creations my fellow Design Team Members have created. Love your cross-stitch pattern...great card. Thanks for sharing.